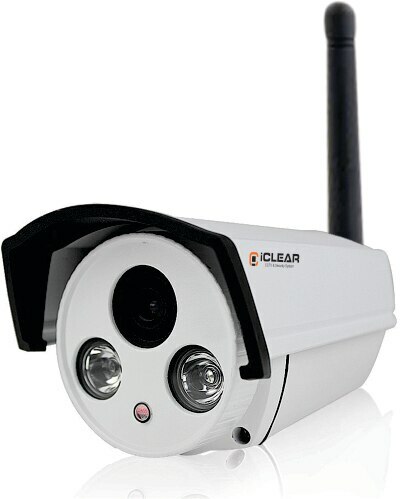 Wireless cctv camera (iCLEAR CCTV CAMERA) The WIFI- IP HK 2A wireless security camera systems are new high performance digital wireless security camera transmission systems. These are our most popular and most recommended systems. These wireless systems offer exceptional video data transmission using 5.8GHz frequency. /Mumbai Wireless CCTV CAMERA H.264/264+/265/265+ Features: Wireless IP HK 2A resolution, clear and fine images; Support 2D/3D With Support in SD card noise reduction, digital wide dynamic; Advanced H.265/H.264 video compression, Super low rate, high definition quality of image; Professional anti-lightning, conform to GB/T17626.5 and IEC61000-4-5。 Support ONVIF;access third party; Support various mobile monitoring(iPhone, Android); Provide web、CMS、center platform management software ICSEE PRO, XMEYE , provide SDK development Support cloud technology, easy to achieve network penetration, front-in-line and alarm information pushed Wireless cctv camera, Wireless cctv camera manufacturers, Wireless cctv camera suppliers, Wireless cctv camera manufacturers in Bihar, Wireless cctv camera suppliers in Bhatinda, Wireless cctv camera in Etanagar. Wireless cctv camera in Jhanshi. Wireless cctv camera in Punjab. Wireless cctv camera in Dholpur. Wireless cctv camera in Puna. Wireless cctv camera in Lucknow. Wireless cctv camera in Etawah.